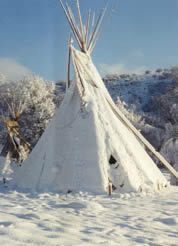 We supply traditional tipis made from the highest quality materials and workmanship. 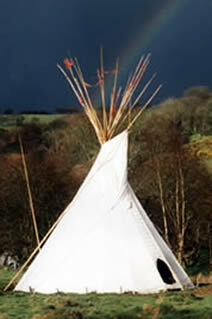 We can deliver our tipis to you. 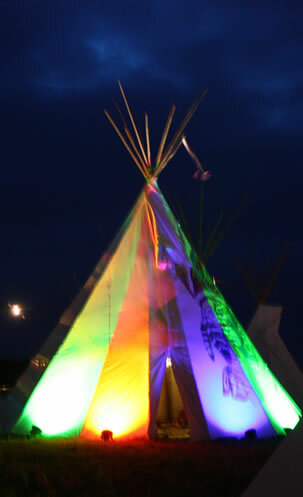 We have been living in, as well as making, hiring and selling tipis for 30 years. Having brought up two children and spent many Summers and Winters in them we like to think we know (almost) everything about them! The name tipi (also spelt teepee and tepee) comes from Lakota (a variety of the Sioux language) and describes the conical shaped skin dwellings used by the American Indians of the Great Plains. The word wigwam, often used incorrectly to describe such shelters, is derived from the East coast tribes who build dome shaped shelters made of bark and reeds - so now you know!